A powerful cyclone has killed at least 16 people across India and Sri Lanka, uprooting trees and cutting power for millions amid warnings on Friday that the storm would intensify. Disaster officials said nine people were killed in India and seven in neighbouring Sri Lanka, most crushed by trees ripped up by destructive winds raging at 130 kilometres per hour. Warships have been deployed to comb the southeastern coast for fishing boats missing in wild seas, India’s Defence Minister Nirmala Sitharaman said. Another official said an estimated 100 crew were aboard the missing vessels, with fears held for their safety. Torrential wind and rain unleashed by Cyclone Ockhi has shut down schools in Chennai, a coastal Indian city of seven million where conditions are set to worsen. Images broadcast from southern India showed the scale of the destruction as the cyclone reached the shore, with electricity poles toppled and trees torn asunder. Tourists in Kochi, a coastal city in the southern Kerala state, have been told to stay away from popular beaches where huge waves are pounding the shore. Power was cut for millions in Kerala and neighbouring Tamil Nadu state as the storm made its way from Sri Lanka, with India’s meteorological department warning of worse to come. “The system is very likely to intensify further during next 24 hours,” the department said in its update. 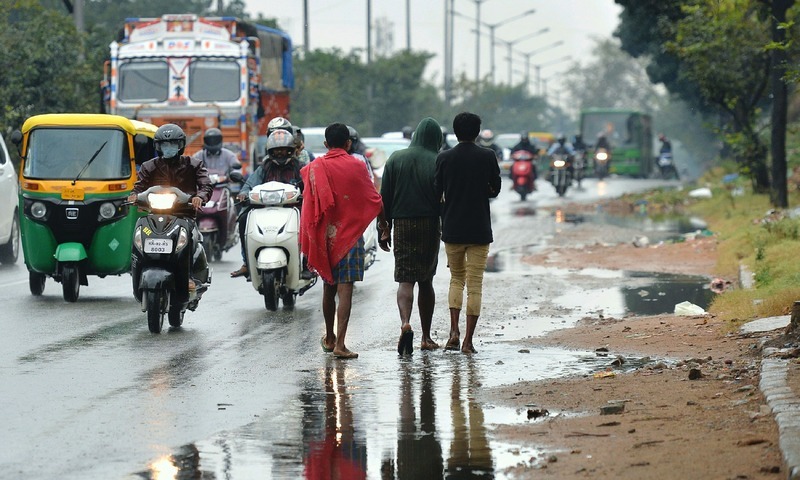 India’s eastern coast — including state capitals like Chennai and Bhubaneswar that are home to millions — is prone to seasonal storms that wreak immense damage between April and December.